This week I thought I would try out the Zoya Naked Manicure Lavender Perfecter that I received in the January Super Awesome Mystery Box with my first Zoya order. Zoya Naked Manicure - Lavender Perfecter. Zoya Naked Manicure Lavender Perfecter is an Allure 2015 Best Of Beauty Breakthrough winner. I didnt actually pick out this polish, but it was one I was interested in, it was one of the products in the Mystery Box from January. It gets a lot of positive reviews on the Zoya site, saying that it helps to cancel out yellow tones on the nail. On the Zoya website it says that 'The Zoya Naked Manicure Lavender Perfecter is ideal for neutralizing discolouration and adding a cooler base'. I thought I would give my nails a break this week and try this one out. As you can see from the first picture my nails are looking fairly dull and lacklustre. The second and third picture are of my nails after applying only the Zoya Naked Manicure Lavender Perfecter. My nails are definitely shinier looking, and to me that equates to looking healthier! They also seem to look almost cleaner?, the nail bed is looking pinker than in the first shot, or is that just me?! I think that may be due to the lavender tint? So far I am liking how the Zoya Naked Manicure Lavender Perfecter has made my nails look without polish on. I think that this polish will be great for putting on my nails when I am not wanting to put on a colour polish but still want my nails to look nice. How about you? 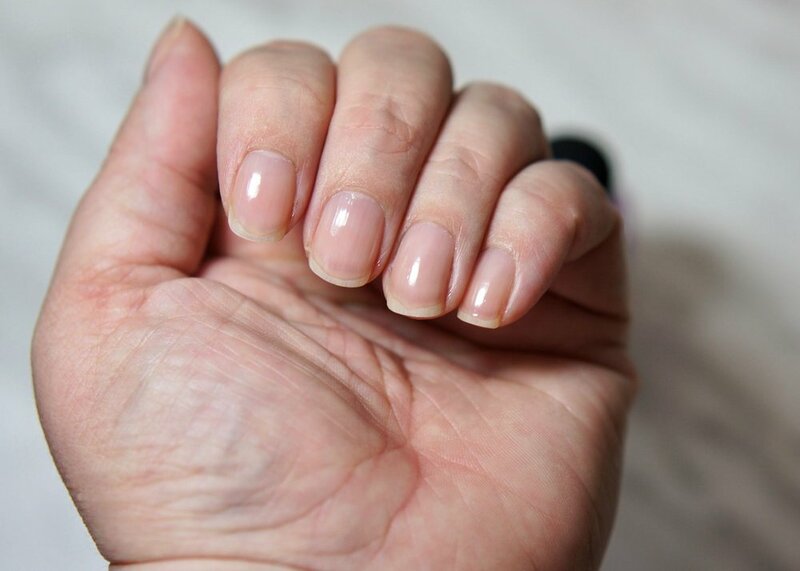 Does the Zoya Naked Manicure Lavender Perfecter, seriously long name!, look like a polish you would be interested in picking up? Can you see any difference in how my nails look from the pictures? Out am I just imagining things? !